People regularly ask me what I feel is the most important part of a panic attack programme. When I was a sufferer, the thing I missed most was regular contact with a therapist. Weekly sessions were ok but, if I hit a bad patch during the week, there was no-one to contact. I also found that I was unable to carry out exercises and exposure sessions, which the therapist had left me to do during the week. I just didn’t have the mental strength to carry them out and failure often left me feeling deflated. Many panic attack programmes offer a helpline number to call when you have a problem, but I find that this is insufficient for a sufferer in need. When a client calls, he expects to speak to his therapist and not a random person who happens to be on duty that day. Always ensure that you will only be contacting the therapist when you call. Daily contact by the therapist should also include a webinar which involves meditation or relaxation. Regular sessions will help reduce stress, and make you mentally stronger to face any future challenges. These sessions should also be live, and not a recording. The client needs to know that their therapist is there physically for them, and available should any need arise. 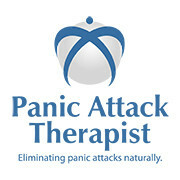 When you are considering investing in a panic attack programme, ensure that the above is offered before you enrol. It will make all the difference to your recovery. If you have any questions to ask, you are welcome to contact me via my facebook page.